© Beth F.. All rights reserved. 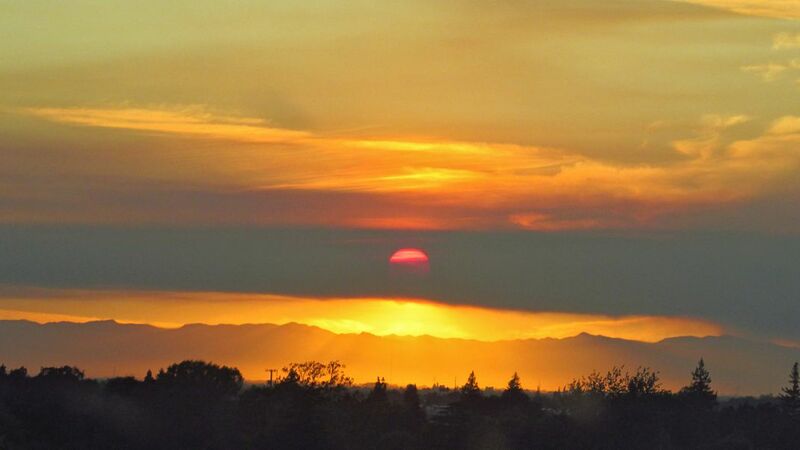 We drove out to the Yolo Bypass (Davis, CA) to take sunset pictures and as we drove down Interstate 80 at speed I shot this eerie sunset veiled by smoke from the newly-emerging Snell Fire. Date Uploaded: Nov. 30, 2018, 4:56 p.m.